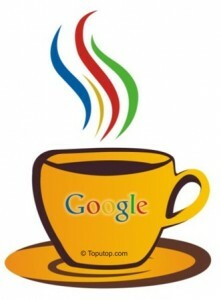 At the beginning of June 2010, Google initiated the Caffeine update: a complete search engine restructuring. Google Caffeine indexes content at a faster rate. i.e. every day, globally. Since the Google update, many sites have noticed a moderate to severe drop of traffic. In the past, the updates of Google’s search engine could take weeks or months. Old content, whether the content was still accessible or not, remained listed. This, in turn, gave site traffic and ranking, even if the page no longer existed. Google Caffeine focuses on fresh content, merged with the search engine’s previous aim of relevance. Studies show the higher the ranking, the more traffic a site gets. Due to Google Caffeine, ranking now requires a higher amount of new content. You simply cannot assume that your competitors are unaware of SEO, or that they have a completely static website. With faster indexing, your fresh content is no longer fresh after a week, and can quickly be replaced in the SERPs with competitor ranking. Day 1: You post an article on your site. You rank well for that article (1st place), bringing in more traffic. Day 3: A competitor posts a similar article. This article, once indexed, can knock your ranking down. Day 5: Another competitor posts an article, which knocks your ranking down more. Within a week, your fresh article that helped you rank in the 1st position is now on the second page and quickly being buried. If your site has turned into a sieve and you’re losing traffic, you need to find out why before you chose which way to aim the largest part of your efforts. For instance, one client was getting a greater percentage of search engine traffic – simply because their referring sites had dropped off the SERPs map. If referring site traffic is slipping away quickly, turn to link building and get your site back up to par. However, if you’re losing traffic from search results, you’re most likely slipping down the ranks and need to beef up your content. Link building has been a constant technique that helps with ranking. However, when one is able to link to fresh content (vs. older content), this tells the search engine your site is still viable and active. It’s still relevant to your search term and still interesting to visitors. In other words, it’s still worth ranking in the search engine results. At this point in SEO and search engine placement, site optimization builds the foundation, but linking and fresh content is absolutely necessary to stay on top. Now, more than ever, SEO is a continuous need, with a heavy emphasis on content and links. Fresh content can now provide ranking within 32 hours, rather than waiting for the ranking to improve over time. However, it is essential to keep this boost going, rather than letting it fall behind, to keep traffic and ranking at a high level. By all means, don’t neglect your sales. However, keep your sales pages as sales pages and your informational pages as, well, informational pages. With the Google Caffeine update, fresh content added to your site is imperative, along with relevant links to the new content. It’s no longer a choice if your site is going to stay high in the rankings for non-branded terms. If you’re a fellow SEO, feel free to add more information, argue or agree. We always love to hear from our contemporaries. For site owners, what have you experienced since June 14th? Severe traffic drops? Better traffic? Better or worse ranking? Tell us about it!